SaltStack used to automate the Django application framework to accelerate and scale the Internet assembly line. Web developers take the heavy lifting out of bootstrapping Django by using SaltStack for continuous deployment and configuration management. SaltStack, the full automation stack for the Internet assembly line and any cloud, today announced it will provide a half-day tutorial at DjangoCon 2013 in Chicago on Monday, Sept. 2. The tutorial will provide an introduction to using SaltStack automation for bootstrapping the Django application framework and to deliver speed and scale for the Internet assembly line. The session titled, “Using SaltStack to Bootstrap Django,” will be delivered by Erik Johnson, SaltStack engineer, and will be held from 9am - 12:30pm on Monday, Sept. 2. Register here: http://dcus13tutes.eventbrite.com/. Web developers take the heavy lifting out of bootstrapping Django by using SaltStack for continuous deployment and configuration management. This SaltStack tutorial will provide live demonstration, plus some slides, on how the pros use SaltStack to bootstrap Django fast, easy and right every time. 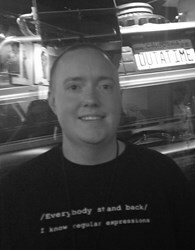 Erik Johnson is a Python engineer and a member of the SaltStack core dev team. Before joining SaltStack in June of 2013, Erik spent six years as a system administrator with Vail Systems, BluePay and Hostway. He has been contributing to the Salt project since January 2012 and has been involved with various open source projects since 1999. Erik spends most of his time working in UNIX/Linux (primarily RHEL/CentOS) environments, and specializes in automating processes using Bash, Perl and Python. SaltStack is a complete systems management software platform for fast and scalable automation of any cloud, application stack or data center infrastructure. SaltStack is used to orchestrate and control physical and virtual infrastructure while providing application and code deployment and configuration for the DevOps toolchain. The Salt open source project was launched in February of 2011 and is now one of the fastest-growing, most-active communities in the world. SaltStack was founded in August 2012 to support the Salt project and to deliver SaltStack Enterprise packaged for the world's most-dynamic large and small businesses, web-scale applications and clouds. SaltStack won the 2013 GigaOm Structure LaunchPad competition, was named to the CRN list of Top 25 Coolest Emerging Vendors for 2013, was named a Gartner 2013 Cool Vendor in DevOps, was included on the GitHub Octoverse Top 10 list for 2012, and was a BlackDuck Rookie of the Year for 2011. For more information, please visit SaltStack.com.